When attending the major Concours in the World it becomes obvious that many of the top cars are usually entered by a small but very enthusiastic group of international collectors and after a while one can recognize individual preferences both in the sort of cars they own and the way they are presented. One of this big names is without doubt Miles Collier and whereas some other collectors tend to go for a Best of Show with better than new restored show cars the Collier entered cars are usually more sportive, either well preserved or very authentically race-ready restored as the Concours scene does not seem to be their main goal. 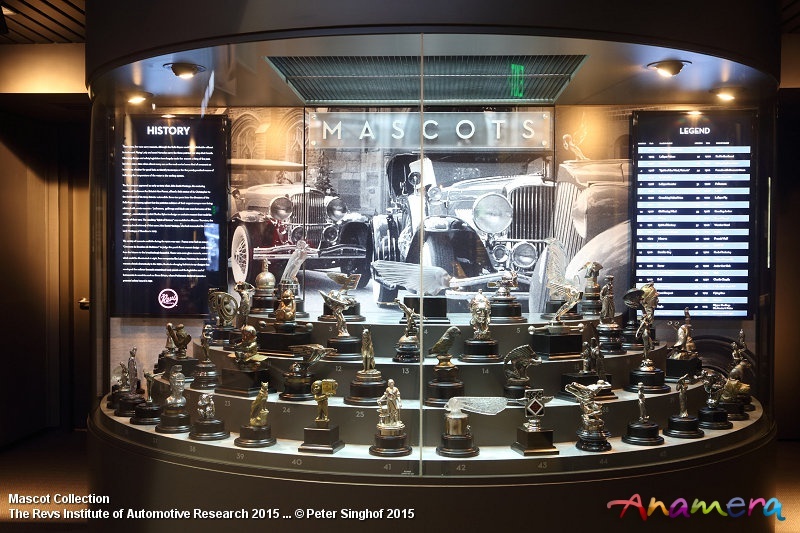 Certainly a proper restoration needs some research and this lead to an ever growing library of books and period photographs and to make this available for scholarly usage finally in 2009 the Revs Institute for Automotive Research was founded. Today the Institute features more than 30000 books and one million photographs including the famous Ludvigsen Library. 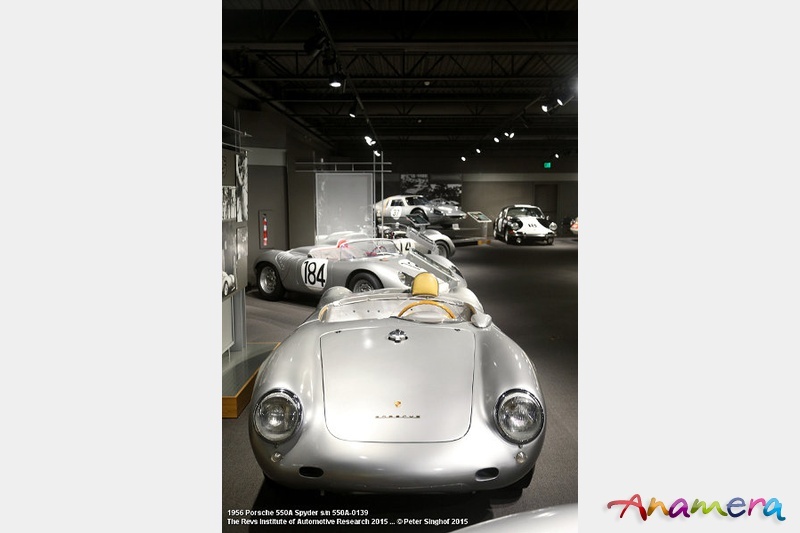 Already in 2000 the Museum began hosting symposia about the preservation and restoration process for like-minded collectors and restorers but main part of the Institute certainly is the fantastic collection of more than 100 sports and race cars. 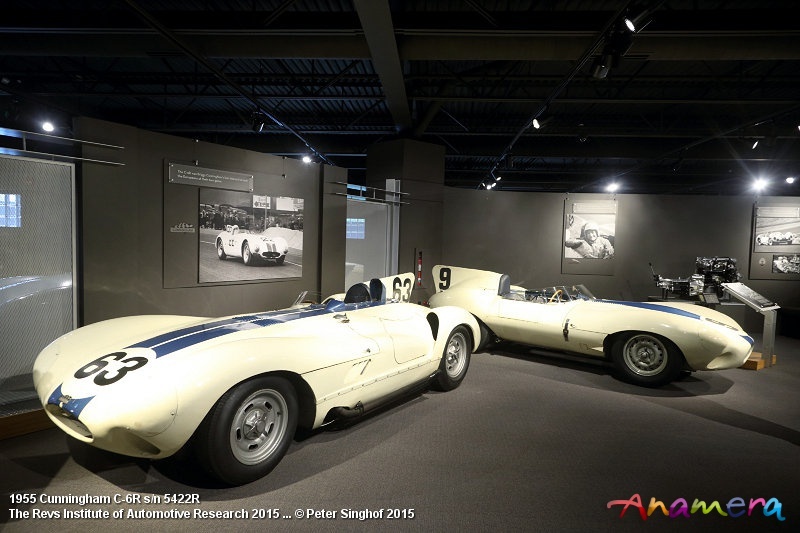 Unfortunately the Collier collection was only seen by the selected few until The Revs Institute finally opened its doors to the public in March 2014 making this the most important museum for sports and race cars as well as the Simeone Collection in Philadelphia. 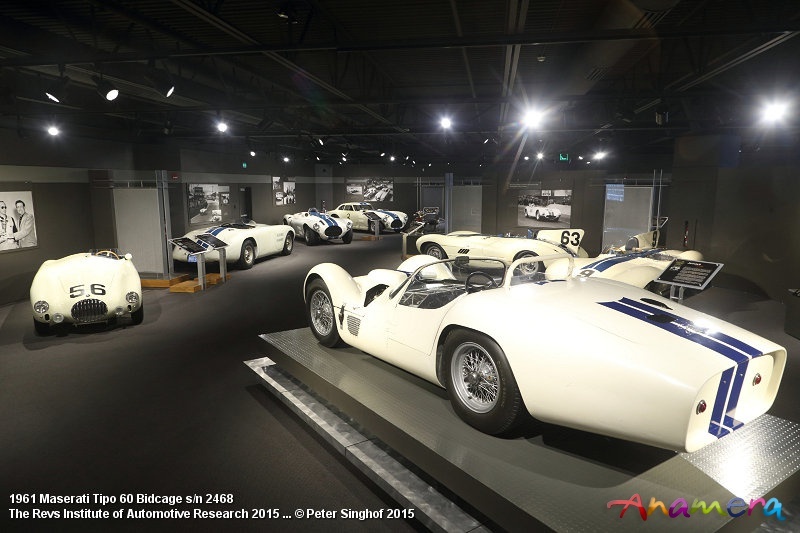 Entering the purpose built museum the collection is divided in several core themes including an extensive Porsche display, the collection of the late Briggs Cunningham and race cars. Miles Collier was born into a car fanatic family as both his father C. Miles and his uncle Sam Carnes Collier raced together at Le Mans, founded the Automobile Racing Club of America and were one of the driving forces behind the first races at Watkins Glen. Miles himself was particularly infected with the Porsche virus when he was gifted his first 356 SC in 1965. 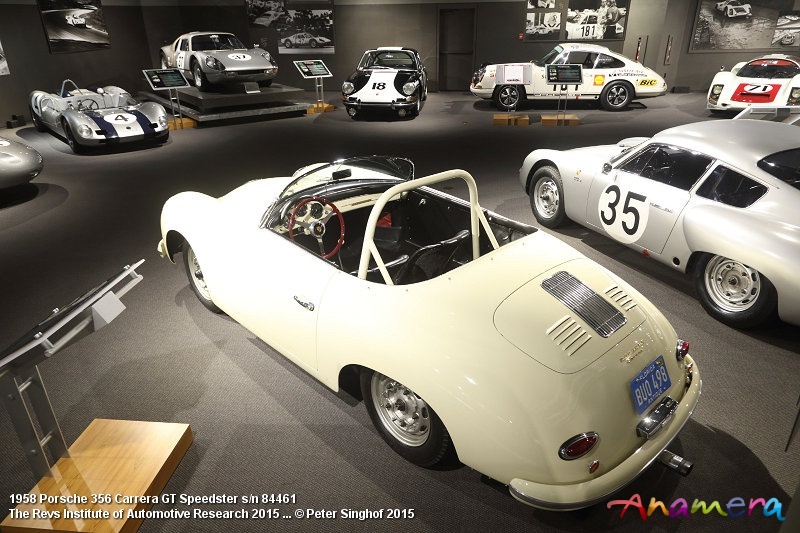 To the present day he built up a collection of racing Porsches that is second to none outside the factory museum making the trip to Naples obligatory for every fan of the sports cars from Zuffenhausen. But the history of the Porsche as manufacturer did not start in Stuttgart but in Gmünd where the family started the production of the first cars of the type 356 after WWII. 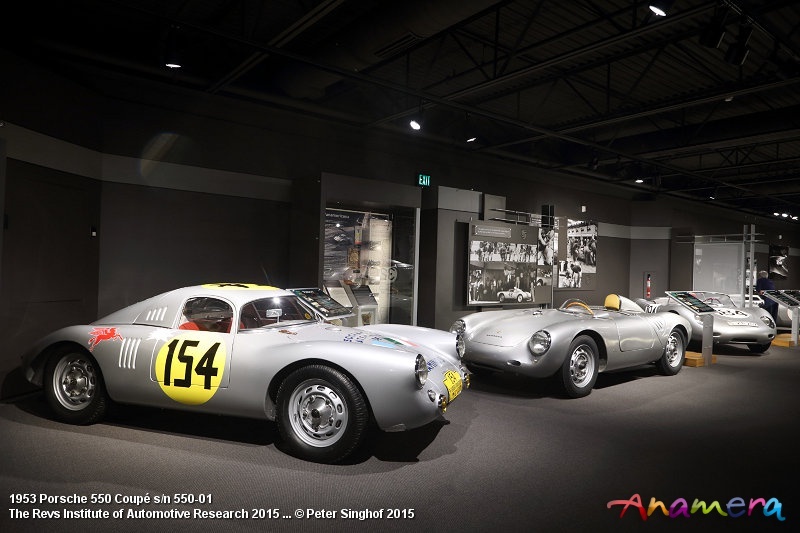 The hand built rear engined GT cars were soon used for racing to represent the sporting touch of the new company, the 356 SL (Sport Light) Gmünd Coupe in the collection is already assembled in Stuttgart and features the new 1500cc engine 4-cylinder engine that followed the 1100cc unit. Unfortunately the car was not on display as it is undergoing a restoration in Paul Russell’s workshop but knowing both the approach of Mr. Collier and Paul Russell this might become the most authentic representative of this early Porsche race history. The 356 went on to win many races in its class but it took until 1953 before Porsche built their first purpose built race car, the type 550. With their small capacity engines the advantage of the Porsche were its agility and the lightness and although most of the racing sports cars of this era were spyders the first 550’s were built as coupés to reduce drag to compensate the inferior engine power especially on the long straights of Le Mans. The Collier Collection features the very first of the 550 (chassis 01) that won its first race at the Nürburgring (although as Spyder) before its first coupé appearance in Le Mans 1953. Today it is represented in the configuration of its first Carrera Panamericana entry where it ran both as Coupé and Spyder in 53/54. 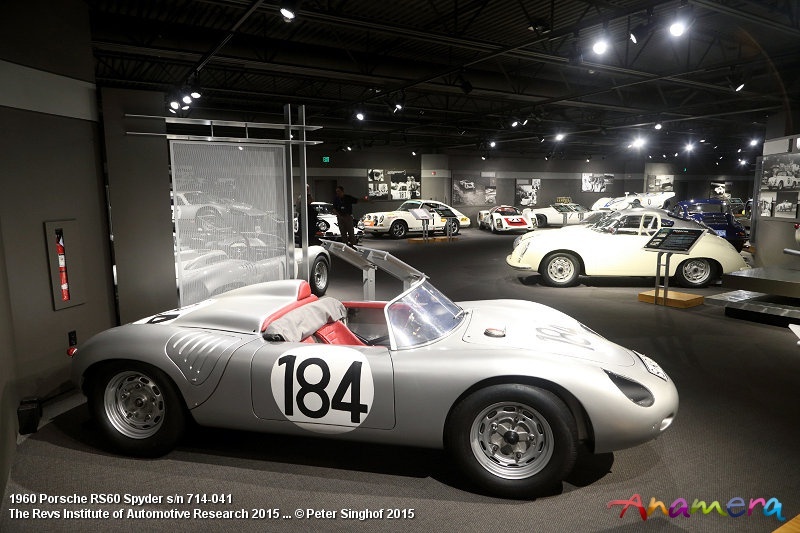 Seen in the museum is also the body buck that was used to rebuilt the car to a coupé before it was reunited the two other remaining factory Carrera Panamericana cars at the Race Car Classic in 2011. Following the factory used prototypes the 550 went into “production” for customers and certainly became famous to the wider public being linked to James Dean and his tragic death. The final evolution of the Fuhrman-Engine powered 550 was the type 550A that was even lighter with a new space frame that gave Porsche its first major overall win when Umberto Maglioli won the Targa Florio starting a long time love affair between the small and nimble Porsche and the Sicilian road race. The car on display (550A-0139) was a ladies car as it is reported to be driven in period by Denise McCluggage who turned to a renowned Automotive Journalist after her racing career. Following the 550A Spyder was the Type 718 RSK that was both driven in the 1.5 litre class and as a 1.6 or 1.7 Litre in the 2 Litre Class. Over the years the car was constantly developed into the RS60 and RS61, the final evolution of the light aluminium bodied Spyder. 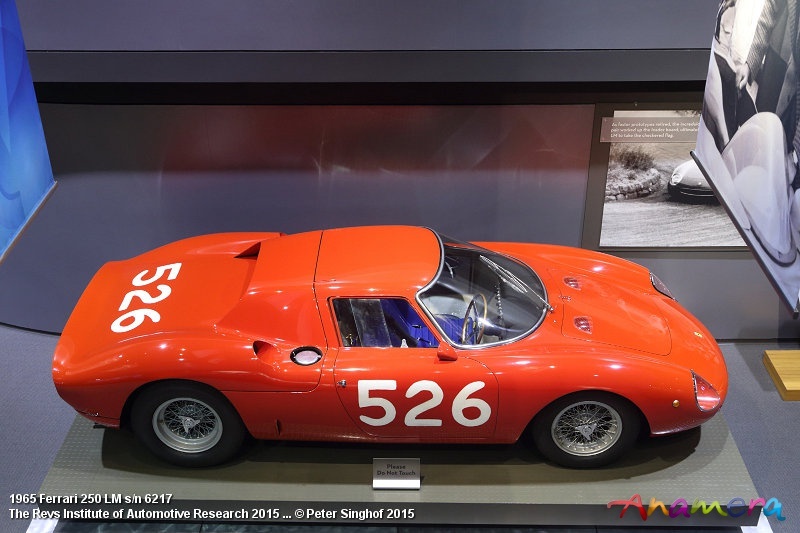 The RSK scored many class and even some overall victories and especially in 1960 it almost won the World Sportscar Championship against Ferrari winning Sebring and again the Targa Florio. Rarely does one see one of them but the Collier Collection does not only have a full set of RSK, RS60 and RS61, more importantly the RSK (718-007) and the RS60 (718-041) both were factory team cars driven by Hans Herrmann and Jo Bonnier respectively Stirling Moss at the famous Nordschleife during the 1000 km, the RS61 (718-047) features the new 8-cylinder 2-litre engine. At the same time Porsche started in the GT class with the Abarth Carrera GTL, developed by Abarth in Italy. 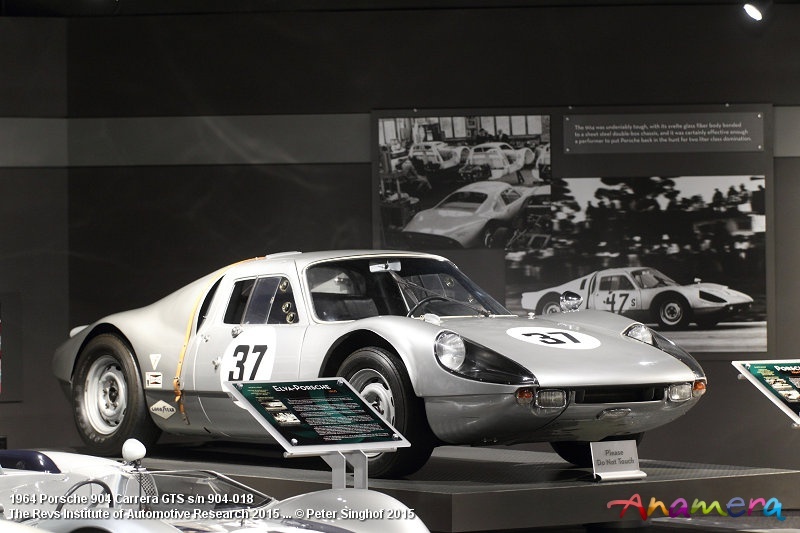 With just 20 units built this is one of the rarest Porsche and the car on display is no less than the prototype chassis 1001 that won its class at Le Mans 1960. The Abarth had shown Porsche that the 356 was dated for the more and more popular GT category and a new car had to be developed for racing replacing both the Spyders and the 356. Being a small company Porsche always had the privateers in mind as the company could not finance racing without selling the race cars as well. The Type 904 was designed by Butzi Porsche to run the latest evolution of the 4-cylinder Fuhrmann engine and the 8-cylinder in the 904/8. With its fibreglass body the 904 was relatively cheap and was also sold as Carrera GTS as road car to get the 100 examples built needed for the GT-class homologation. The 904 easily won the 2 Litre World Sportscar Championship, the cars on display were raced in period by the Scuderia Filipinetti (904-046) and Briggs Cunninghan (904-018). 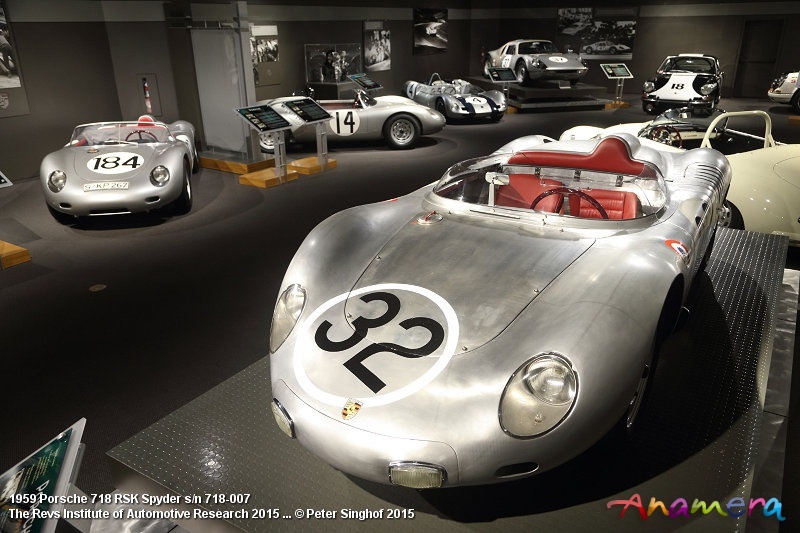 The change from aluminium to fiberglass body construction by Porsche was in 1963.After the fibreglass changed the Sportscar program of Porsche the change from the 4-cylinder Type 356 to the 6-cylinder Boxer 911 was the most important impact on the racing development. Following the 904 was the type 906 Carrera 6 running the new engine in the 2 litre class. 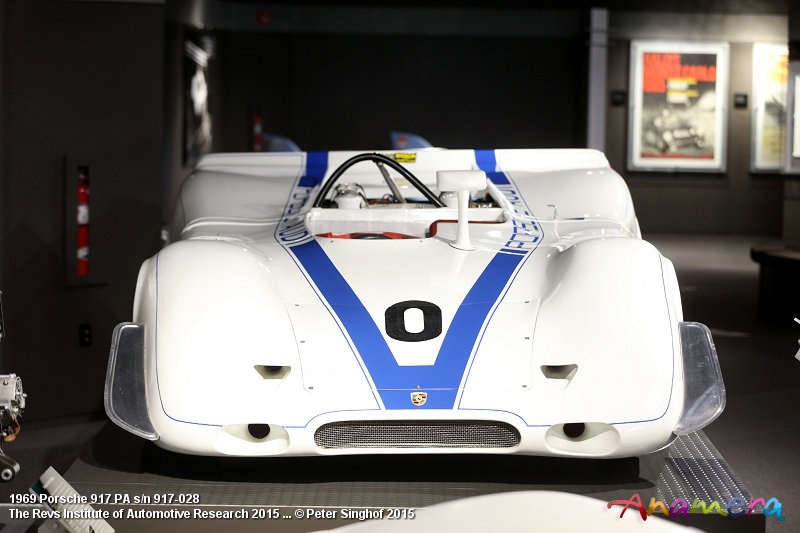 Although this car was still street legal the 906 can be seen as the beginning of the prototype development program under Ferdinand Piech that should result in the desired Le Mans victory some year later. The 906 was introduced at the Daytona 24h were it finished a strong 6th overall winning it class, its first major victory was about 3 months later again at the Targa Florio. Furthermore Porsche could win again the WSC in the 2-litre category, Colliers 906 (chassis 125) has an early race history in Scandinavia where it won virtually every race it was entered. Following the 906 was the 910, the first pure race car without being road legal as the car was not intended for privateers in larger numbers. It was the next step on the way to an overall World Sportscar Championship and the Le Mans victory. Although Porsche won the Targa Florio several times in the past they never won their home race, the 1000 km at the Nürburgring, the 910 on display (910-007) was the first car to achieve that and Porsche finally came second in the WDC behind the Ferrari P3 with just two points less. For 1968 the regulations for the WSC changed with a limitation of the capacity to 3 litre at the prototype classes and 5 litre in the Sportscar class banning the dominating Ferrari P3/4 and the latest Ford GT40 MKII/IV from the championship. Porsche developed a 3-litre engine for their prototypes but it was not ready in time for the start of the season, nevertheless Porsche won the first two races overseas with the 24 hours of Daytona and the 12 hours of Sebring. Over the entire season the new 907 and the Gulf livered Ford GT40 MKI of the John Wyer team won the races of the WSC alternating, the last race at Le Mans decided the championship won by the GT40. The Collier Collection just closed the last gap in the Porsche race history acquiring the Sebring winning 907 (chassis 907-024) driven by Jo Siffert and Hans Herrmann. After its sole works entry the car was raced by its next Swiss owner before the car was converted for an intended road usage. After several decades out of sight the car is currently under conservation/restoration in the museums own workshop stripping several layers of additional fibreglass to get back the original configuration of the very original car. During the 1968 season and then for the full 1969 season Porsche could use the 3-litre engine in the Porsche 908. 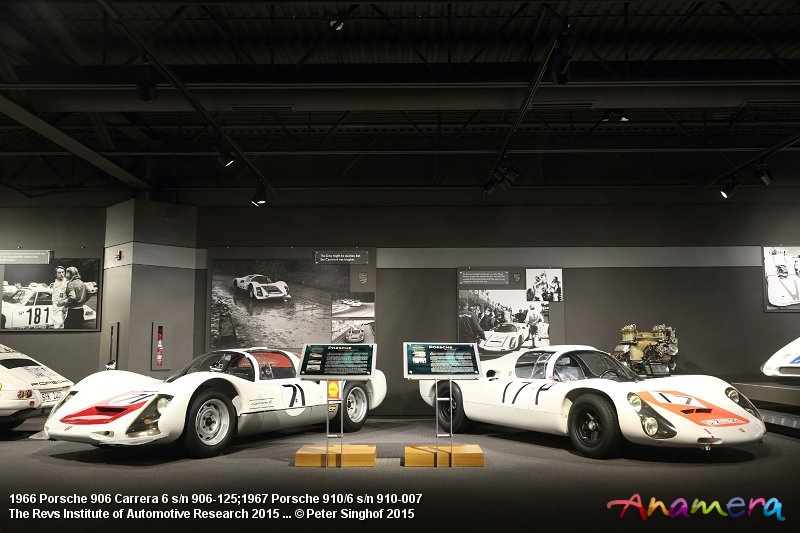 Now Porsche had a state of the art car for virtually every track with the Coupe in Long and Short Tail configuration, the 908/2 Spyder and later the small 908/3 for race tracks like the Targa Florio. Collier has both a longtail coupé and a 908/03 Spyder. The former (908-025) was one of the factory team cars helping to finally win the WSC in 1969 with a victory during the 1000km at Spa in the hands of Jo Siffert and Brian Redman. 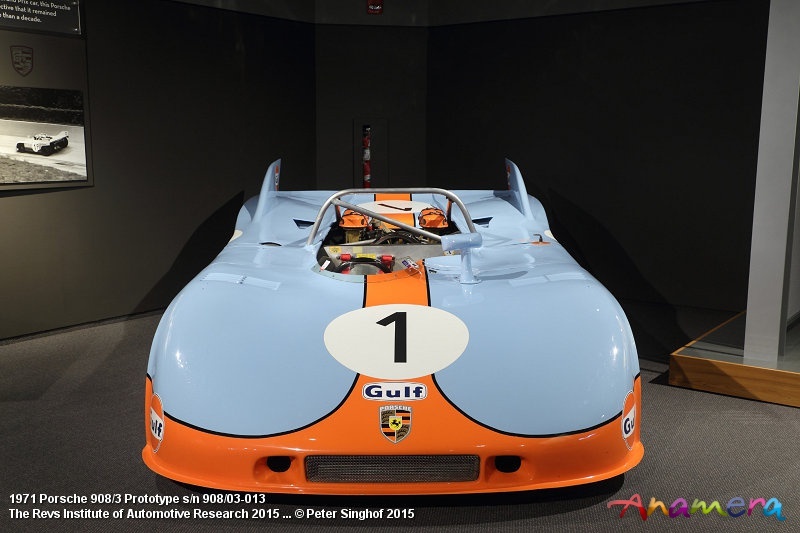 Already for 1969 Porsche introduced the iconic 917. After some test with the longtail version the 917 finally dominated the WDC in 1970 in its short tail configuration. After the closest Le Mans finish the year before when the 908 finished a few hundred meters behind the winning Ford GT40 the 917 finally fulfilled the mission winning in front of two more Porsches. 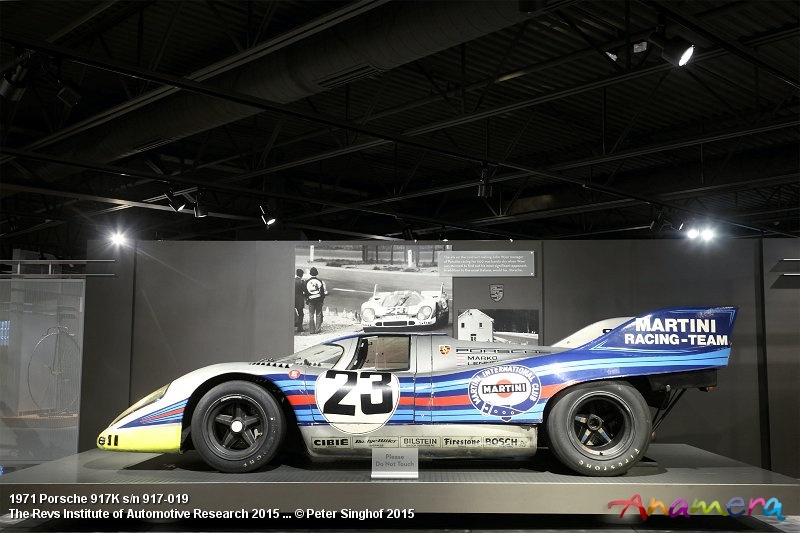 917-019 was entered by the Porsche Audi Division in the USA before it was sold to the Martini Racing team for the next season. Although this example never won a major race it is a fascinating piece of automotive history as this might be the most original 917 in existence. Today several 917 are entered in historic racing and at the Concours circus fully restored to better than new condition but this car still wears the racing number and the scars of its last race in Spa. Whereas other cars show almost unreal clearance between the body parts one could see in 917-019 all the imperfections in the finish of the body and the paint. But this does not mean that the car is not in driving condition as could be seen during the Rennsport Reunion IV in Laguna Seca 2011. With Rennsport Reunion V just around the corner one could be curious what cars Collier will bring to the west coast this year. As mentioned earlier another main theme of the museum is the Briggs Cunningham collection. The friendly relationship between Briggs Cunningham and the Collier brothers goes back to the 1930s when Miles (Sr) and Samuel raced one of Cunninghams first cars, the 1939 Buick-Mercedes. 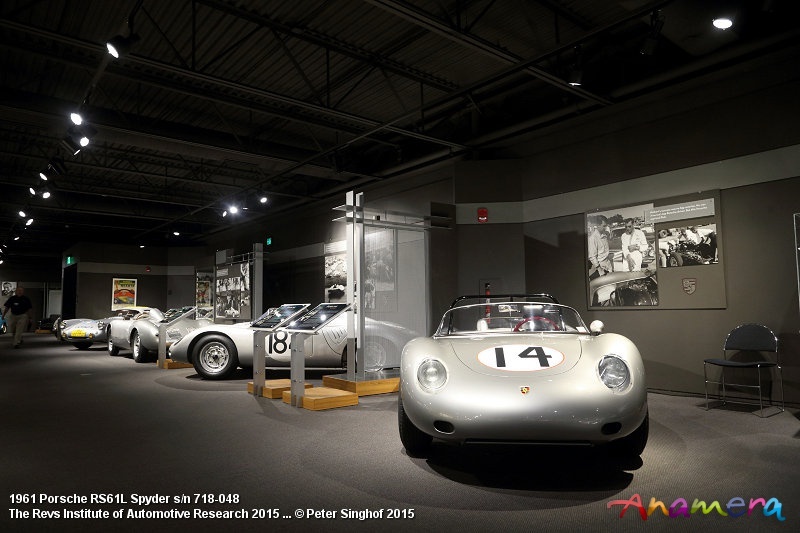 Besides being racer and constructor Cunningham was a vivid collector and due to the close relation between the two families Miles Collier was able to acquire the entire collection giving her a new home in his museum. Today the display features many of the cars built and raced by Cunningham over the years. After the war Briggs intended to race at Le Mans and for 1950 he entered a duo of Cadillac for the 24 hours, a Series 61 Coupe driven by the Collier brothers and a special called “Le Monstre” by himself and Phil Walters. Although the local laughed about the two entries from overseas they still finished 10th and 11th at La Sarthe encouraging Cunningham to return with his own creations. Already for 1951 the name Cunningham appeared under the constructors’ names at the starting list with three all new Cunningham C2 entered. The new cars consisted of parts from various American constructors, in the last minute the engine changed from the Cadillac V8 of the C1 to the Chrysler Hemi of the C2. As the cars were not sorted out at all just one of the finished 18th. Cunningham returned the year after with the new developed C-4R that was much lighter and slimmer than the C2. Partnered by Bill Spear Briggs achieved his best result with a fourth overall and a class victory. The C4R (5216R) raced again in 1953 and 1954 and although Cunningham finished constantly in the top ten he never made it to the podium. More success had John Fitch and Phil Walters racing the car in Sebring winning the 12 hours in 1953. For some reasons the closed version C-4RK (K for the Kamm-Tail) was less successful at Le Mans although it’s reduced drag but this one-off is without doubt the most exciting of the Cunninghams. Very fast on the straight the C-4RK lost because of reliability and driving mistakes. 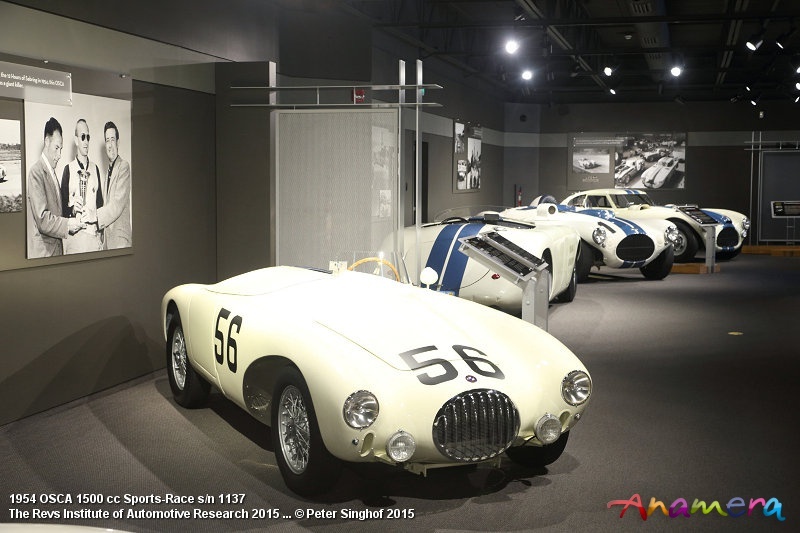 For the 1953 LM race regulations Cunningham needed to become a constructor of at least 25 cars and so the Cunningham C3 was born consisting of a chassis developed from the C2 and a Vignale body. Although very stylish and with very sportive driving abilities thanks to the powerful Chrysler Hemi the C3 was way too expensive to sell in large numbers. 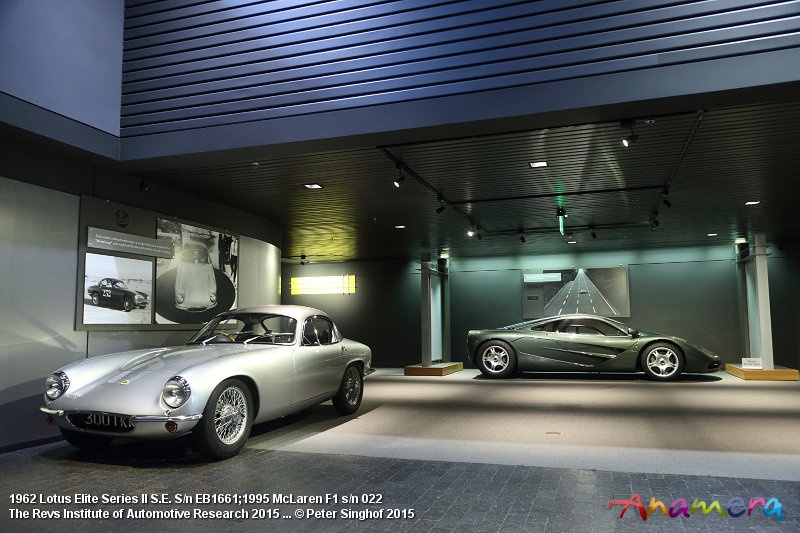 Less than 30 cars were built including some convertibles, the car was assembled in the Palm Beach premises after their return from Vignale in Italy. The C3 is rarely seen but in 2011 no less than 12 Cunningham were shown at the Cavallino Classic Mar-a-Lago Concours. In 1953 the new C-5R joined the C-4 and the C-4RK and this time the new Cunningham was one of the favourites for the overall victory. Competition was very strong this year with works entries of the Jaguar C-Types, the Ferrari 340MM and Alfa Romeo 6C3000 with Juan Manuel Fangio at the wheel. At the end the two disc braked C-Types took the first places with the big C-5R of Walters and Fitch completing the podium. 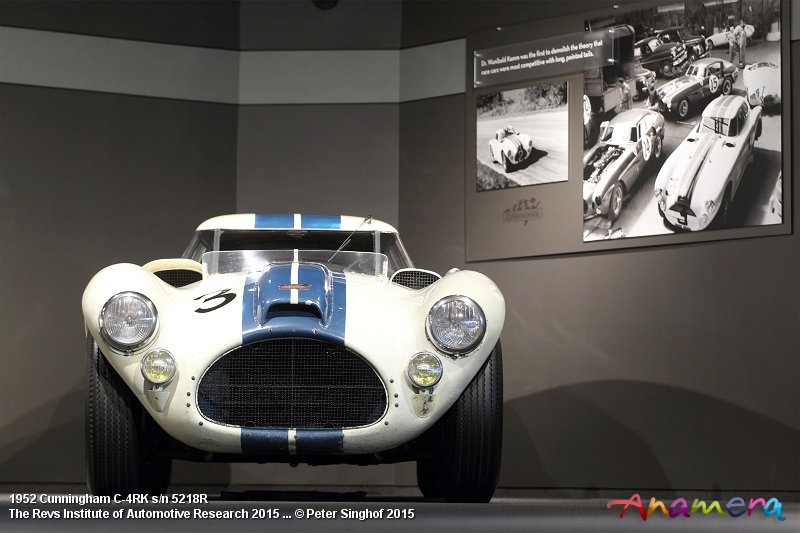 After two entries of the C-4R in 1954 the year 1955 saw the last Cunningham-entry at Le Mans with the C-6R switching from the Chrysler V8 hemi to an Offenhauser engine developed from the Indy engine but without success, the car retired with a burned piston. At the end of 1955 Cunningham closed his shop and his name disappeared from the constructor list but Briggs himself went on racing and running his own team. Already in 1954 he entered a small Osca at Sebring running against his own Cunninghams, Stirling Moss and Bill Lloyd winning against his own Ferrari 375 MM and the works Aston Martin and Lancia D24. In 1955 Briggs bought the new Jaguar D-Type that proved to be the car to beat. The car (XKD507) was entered at Le Mans but did not finish due to a broken Valve just to win shortly after at Watkins Glen. Cunningham became the distributor for the Northeast and ran a semi-works team of Jaguar in the US. But not only Jaguar were entered by the team with the two blue centre stripes but also a Maserati T60 Birdcage (2468). Just like the Osca this Birdcage might be the complete different approach to racing compared to the bog bore Cunninghams. With only 2-litre capacity this small and nimble racer was superior in handling compared to most of its opponents, unfortunately Maserati always had reliability problems costing them many good results, this can be seen at today´s historic racing when the cars fully sorted out are regular front runners. This car was modified with a long tail later in its life and is in remarkable original condition. Unlike most of the other exhibits it is not regularly driven as it tends to loose paint in the driving wind. Another car from the Cunningham collection is one of the oldest Ferrari in existence and one of the first to be imported to the US, the small Ferrari 166 Spyder Corsa (chassis 16I). After being raced by Luigi Chinetti in Spa and Monthlery that car was sold to Briggs Cunningham in 1948 and entered by him and Sam Collier in several races. Unfortunately this car also has a sad part in the Collier family history as Sam Collier was killed in it at Bridgehampton September 1950. 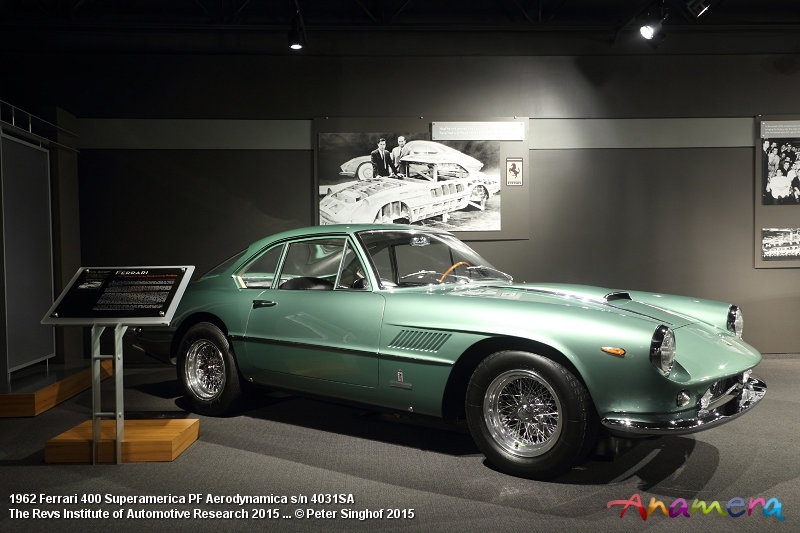 The car was restored two years ago and made its post restoration debut at the annual Cavallino Classic in 2014 where it won Best of Show Competition. Ferrari was successful right from the beginning both in Sports Car racing and Formula 1 so in 1947 Alfa Romeo could win its last Mille Miglia before Ferrari took over. 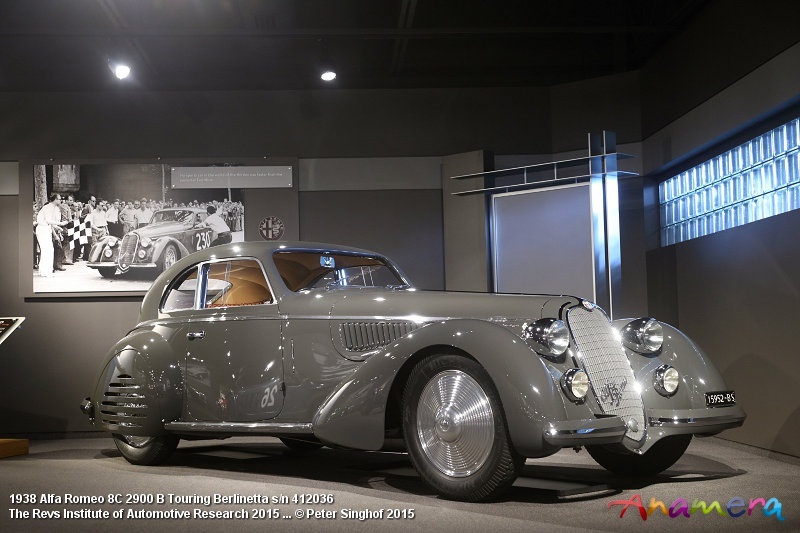 The Alfa Romeo 8C 2900 was dominating the MM in the late 1930s and in the first year after the war the Touring Berlinetta on display was back at Brescia in normal aspired form and disengaged Supercharger for the first post-war edition. Today the Touring Berlinettas are regular contenders for best of show awards on the major concours and its sister car won Pebble Beach a few years ago. But the 166 is not the only Ferrari on display, even more notable is the 400 Superamerica that was originally owned by Enzo Ferrari himself proving that a street Ferrari does not need to be red. Talking about celebrities two names come into mind when thinking of the 1930s, Clark Gable and Gary Cooper. 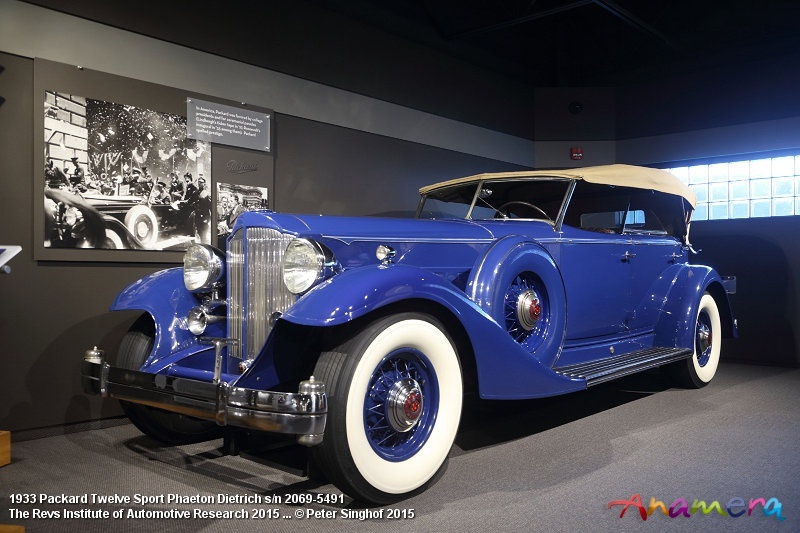 They both had a passion for exclusive cars and both commissioned (or were given) a special short version of the Duesenberg Model J, the supercharged SSJ roadster. 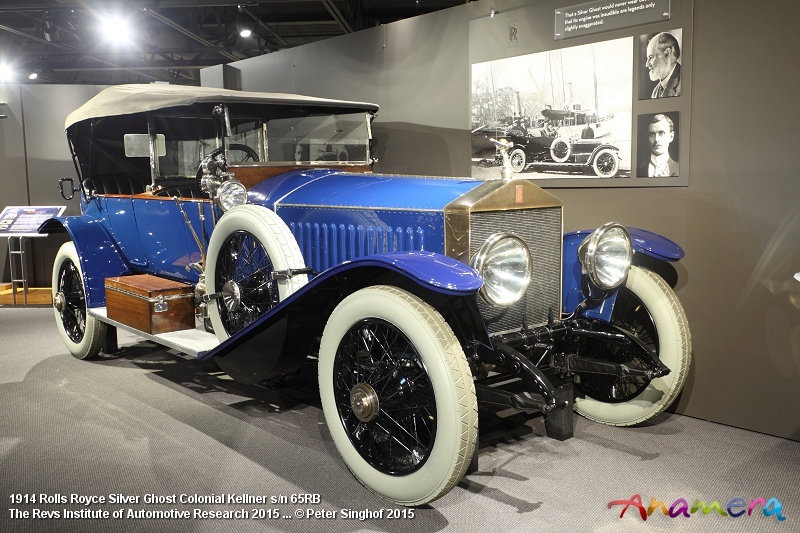 The car on display is the example of Gary Cooper. The European equivalent for the Duesy would be the Mercedes-Benz SSK. The Collier collection features one of just a handful original survivors alongside its rival of the day, the Blower Bentley. Even more interesting is the fact that the Mercedes was owned by Dorothy Paget who financed the Blower project for Sir Henry Birkin. As the Bentley was ordered new by Miss McCaw this part of the museum is a “ladies corner”. 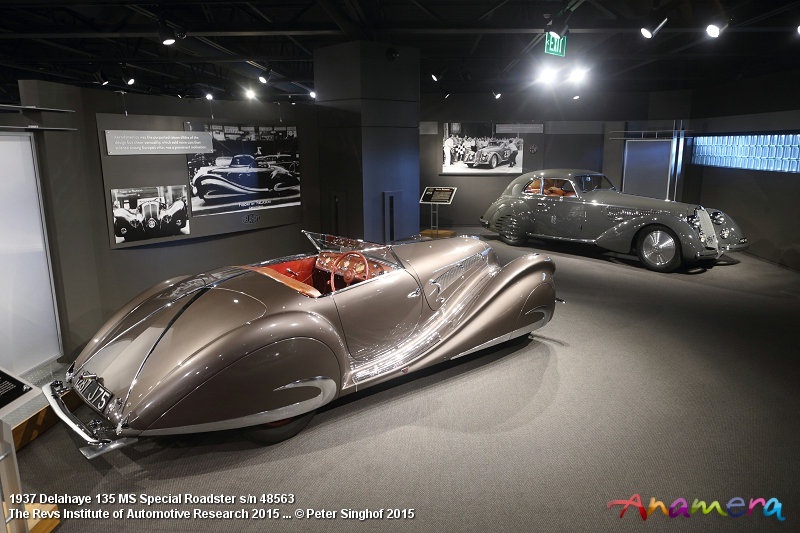 Other cars of particular interest are the Bugatti T55 and the Alfa Romeo 8C 2300 Touring Spyder. Both cars might be the best design of their type and especially the Jean Bugatti design is considered being one of the best ever finding its way on a Bugatti chassis. Sharing the straight eight of the Type 35 this wonderful example (55211) was displayed just recently at the Concours Arts&Elegance at Chantilly. Upstairs is the racing display of Grand Prix cars. Among them is the 1914 Mercedes GP that was seen on several events last year alongside its sister cars celebrating the 100th anniversary of the Lyon GP. Highlight of the display might be the Mercedes-Benz W154, one of the famous Silver Arrows dominating the GP races just before the war. The W154 is the final development after the regulations limited the displacement to 3-litre supercharged (or 4.5 naturally aspirated) rather than the weight limit of the former formula. The V12 with double OHC is powered by two superchargers just as his opponent from Auto Union was. The W154 at Collier is the only private owned running W154 outside the factory collection. After an intensive restoration by Paul Russell the car is displayed with a cut away bodywork showing its advanced technology. As nice as it is to take a closer look at the engine in the Museum this does not replace the experience of seeing and hearing the car running. In 2012 the car was part of the Silver Arrow demonstration at the Goodwood Revival. 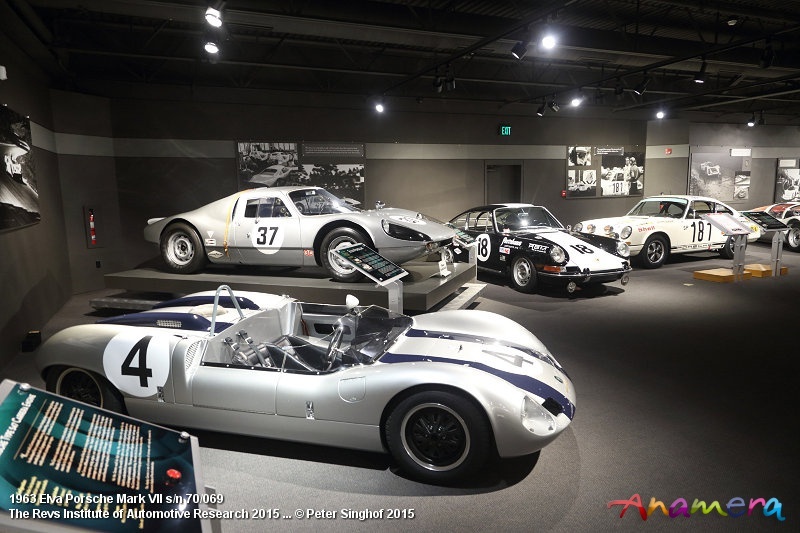 With more than 100 exhibits on display this is just a fraction of the stories that could be told about the cars and this does also shows the difference between a good and a great collection. Not only does the Collier collection feature the most important types of the different marques but even more so some of the most interesting examples of the type, be it the prototype, a successful race version or a particularly original example. 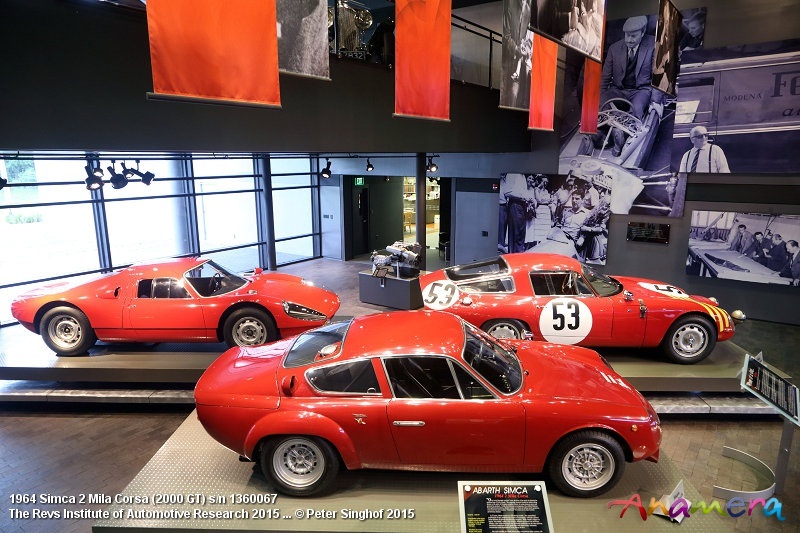 When visiting this superb museum it is important to bring enough time to read the descriptions in front of the cars or taking a tour with one of the well trained volunteers. The museum is open three times a week but tickets have to be ordered in advance. As most of the visitors might come to Naples especially to visit the museum this is certainly not a problem but it keeps the visitor numbers small enough to display the cars without barriers giving a closer look at the interesting details.